For a number of years now learned interpreters of Scripture have been telling us that the Song of Songs is (primarily) about human love. I put the word primarily in parentheses in that last sentence for a reason. I had grown so accustomed to the emphasis on human love in the Song that I had begun to assume that’s all modern commentators said about it. As I was recently pondering this, I went back and looked at what they actually say. They typically add a word like “primarily” or “mainly,” leaving the door open to a spiritual meaning of the Song. But then when they get into it, all they talk about is human love. In this post I want to pose a question: is it possible that Solomon intended the Song to have an allegorical layer of meaning? Usually when you suggest that the Song is about something more than human love, people roll their eyes and write you off as a prude. I’m not a prude, okay? I do think the Song is about human love, and I think human love is great. Really great! I love my wife, and I can’t get over God giving us something so surprising, so pleasing, so good as marriage. Everything that happens within the context of this comprehensive interpersonal union of one man and one woman being one flesh is better than any of the perversions people use to ruin it. So I’m on board with human love in the Song. My question, though, is whether there’s more to the Song than merely human love, more that Solomon, whom I take to have written the Song (cf. Song 1:1), intended his audience to get from this piece of poetry. I’m not out to defend the history of interpretation by asking this question, but it is worth observing that the idea that the Song has a spiritual meaning has been, well, dominant across the ages. Is there exegetical evidence for it, though? Let me note that by allegory I don’t mean something terribly complicated. Let’s stick with a simple definition from dictionary.com: “a representation of an abstract or spiritual meaning through concrete or material forms; figurative treatment of one subject under the guise of another.” This seems to work for the way Paul uses allegory in Galatians 4:24. So here’s the simple proposal this post is inviting you to consider: is it possible that Solomon intended to represent the spiritual relationship between God and his people through a poetic depiction of the human relationship between the King and the Bride in the Song of Songs? What could have prompted Solomon to think of the covenant between Yahweh and Israel as being analogous to human marriage? Well, in Exodus 34:14–16 Israel is already being warned not to “whore after their gods.” By describing idolatry with the language of prostitution and sexual immorality, Moses is talking about the covenant between Yahweh and Israel as though it is a marriage. So this way of thinking about God’s relationship with his people is well established prior to the time of Solomon, and it continues after Solomon, not least with Hosea, where when Hosea marries Gomer, Hosea plays the part of Yahweh, Gomer the part of Israel. So I think we can be confident that biblical authors prior to and after Solomon were thinking about a spiritual meaning of marriage, recognizing an analogy between human marriage and God’s covenant with Israel. Is there more specific evidence? Psalm 45 is perhaps the closest analogy to the Song of Songs in the Old Testament, being a wedding song for Israel’s king. The Psalm begins with a celebration of the king in Psalm 45:1–9, then concludes with an address to the princess marrying the king in 45:10–17. As the psalmist extols the greatness of the king, he says in Psalm 45:6, “Your throne, O God, is forever and ever,” showing—at least—a very tight connection between Yahweh and the king who represents him. With a statement like this in Psalm 45, and with other texts in the OT communicating a very close connection between Israel’s God and Israel’s king (e.g., Num 23:21; Isa 9:6; Jer 23:6; Hos 3:5; Mic 2:13; 5:4; Zech 12:8; 13:7) it would seem natural—not forced or fanciful—to see an analogy between the King and his Bride and Yahweh and Israel in the Song of Songs. What about evidence that later OT authors might have read the Song this way? Is there anything that points in that direction? The King in the Song is regularly called the Bride’s “beloved.” This particular Hebrew word means different things in different contexts. In some contexts it means “uncle.” It is not often used outside the Song of Songs the way Solomon uses it in the Song. In fact, the only place outside the Song of Songs where the word is used with the same meaning it has in the Song is Isaiah 5:1, where Isaiah writes, “Let me sing for my beloved my love song concerning his vineyard.” What follows in Isaiah 5 makes it clear that Isaiah is referring to Yahweh as his beloved. Given the fact that the only Scripture in which the word is used this way prior to Isaiah is the Song of Songs, it would seem at least possible that Isaiah’s thinking about the Lord has been influenced by the Song, with the result that Isaiah refers to the Lord the way the King is referenced in the Song. A related form, though not exactly the same Hebrew word, is used in a similar way, with reference to the relationship between Yahweh and Israel, in Jeremiah 11:15, Ezekiel 16:8, Psalm 60:5 (MT 60:7)/108:6 (MT 108:7), and 127:2. Yahweh married Israel at Sinai. When she broke the covenant by whoring after other gods, she was eventually exiled, with the prophets promising a renewal of the broken marriage (see esp. Hos 2:14–23), a new covenant (Jer 31:31–34). Jesus came calling himself the Bridegroom (Matt 9:15), being recognized as such by the Baptist (John 3:29), and laying down his life for his bride (Eph 5:25) that she might be clothed in white linen for the marriage feast of the Lamb (Rev 19:7–8). The Song of Songs is a poetic summary and interpretation of the Bible’s big story: the descendant of David—king of Israel about whom the promises of 2 Samuel 7 were made (promises resonant with the blessing of Abraham from Genesis 12:1–3, promises that will be realized through the one whose descent can be traced all the way back to Adam, who can thus be identified as the promised seed of the woman from Genesis 3:15)—renews an eden-like intimacy between himself and his Bride, reversing the affects of the fall (cf. Gen 3:16 and Song 7:10). All this is fulfilled in Christ Jesus, son of David, Yahweh incarnate, the one greater than Solomon (Matt 12:42), who initiated the new covenant between himself and his bride, the church, and who will return for the grand consummation when the Bride herself, the new Jerusalem, will descend from heaven having the glory of God (Rev 21:9–11). This past weekend it was my privilege to be in Fayetteville, AR, at University Baptist Church. I spoke on the theme of God’s Glory in Salvation through Judgment: A Biblical Theology. These talks seek to summarize the Bible’s big story, highlighting the promises that generate the typological patterns. I’ve argued that Jeremiah was a prophet like Moses, and Jesus is the typological fulfillment of this pattern that began with Moses. Luke presents both Peter and Stephen asserting that Jesus is the prophet like Moses announced in Deuteronomy 18:15–18 (Acts 3:22–23; 7:37), and Matthew, Mark, and Luke are pointing to this in their transfiguration accounts (see esp. Luke 9:31, 35). The Lord told Moses that he would be “as God” to Pharaoh with Aaron as his mouth (Exod 4:16). It’s as though Moses represents God and Aaron becomes the prophet of God. Moses spoke for God. One aspect of being a prophet like Moses, then, is speaking for God. The key phrase here that makes me think that the “I/My” is Yahweh rather than Jeremiah is “they know me not” (Jer 4:22). It seems that the problem the people have is that they don’t know God. Even if this is merely Jeremiah saying that the people don’t recognize him as Yahweh’s prophet, the cause of that would that they don’t know God, so it still points to Jeremiah speaking for God. It seems to me, though, that what’s in view is not that the people don’t know Jeremiah (though they are not heeding his message). The problem is that they don’t know God. So in Jeremiah 4:19–22, it seems that Jeremiah begins speaking of himself in the first person and ends by speaking for Yahweh in the first person. I take this as another way that Jeremiah is a prophet like Moses. God made Moses to be as God to Pharaoh (Exod 4:16), and God made Jeremiah to speak for God to the people of Israel. This trajectory will be fulfilled in the one who came as God incarnate and spoke as God to the people. Jeremiah, then, is an installment in the typological pattern of the prophet like Moses who speaks for God, a typological pattern that Jesus fulfills. In God’s kindness we made our way through both Ezra and Nehemiah at Kenwood Baptist Church. The sermons on Ezra can be found here. 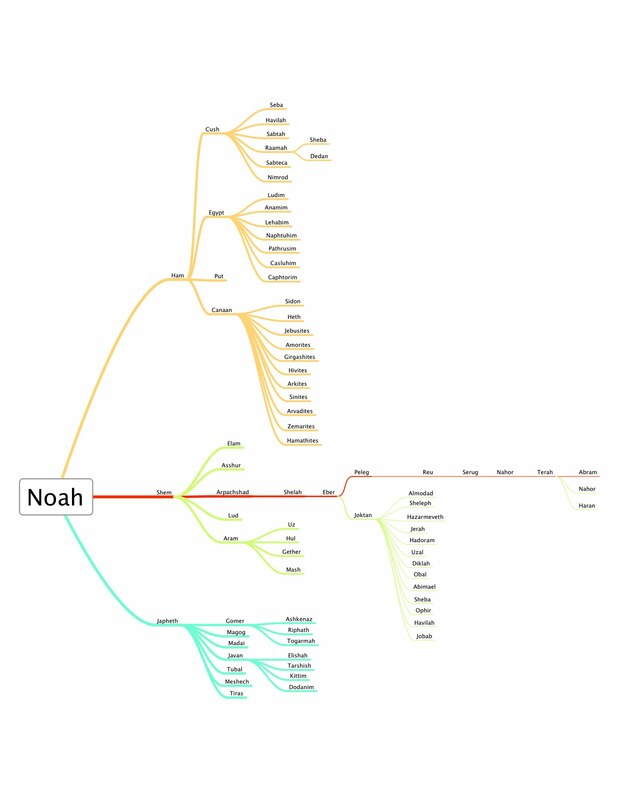 In answer to the question: What makes a translation [of the Bible] accurate? You can read my explanation at the BibleGateway Perspectives in Translation forum. The NIV 2011 provides a perfect illustration of my point. Hebrews 2:6–8 is quoting Psalm 8:5–7, but the NIV 2011 has a problem with the text. I would argue that in Psalm 8 David is describing his role as a new Adam exercising dominion over God’s creation (cf. Ps 8:6–8 and Gen 1:26–28) so that God’s name/glory will cover the dry lands as the waters cover the sea (cf. Ps 8:1, 9). This is in keeping with the promises that God has made to David in 2 Samuel 7, which are restated in Psalm 2. So in Psalm 8 David refers to himself as “son of man,” then talks about how God made him ruler over the beasts of the field. In Daniel 7, in the context of a vision of various beasts who have taken over the rule God’s world, Daniel sees “one like a son of man” approach the Ancient of Days and receive everlasting dominion. Then Jesus refers to himself as “son of man” all over the place in the gospels, and the author of Hebrews, discussing Jesus, quotes Psalm 8 in Hebrews 2. So is it important to render Psalm 8:4 “son of man”? Or can we render it “human beings”? The answer depends on what you prioritize. No small theological matter is at stake here. Does it matter whether Psalm 8 can be seen to be pointing forward to Christ, who fulfills the Davidic pattern as the new Adam who will exercise dominion and make the name of the LORD majestic in all the earth? Postscript: I hope that this post is rendered irrelevant by the Committee on Bible Translation changing the phrase in Psalm 8:4 from “human beings” to “son of man.” I know they have “son of man” in a footnote, but “son of man” should be in the text not in a footnote. “Moreover, this verse does not mention משיח [Messiah], or even have a hidden reference to a coming Messiah, despite the later interpretations often given to it in both the Jewish and Christian tradition” (Joseph A. Fitzmyer, The One Who Is to Come [Grand Rapids: Eerdmans, 2007], 28). The language and imagery of Genesis 3:15 is reused all across the Old Testament and into the New. Further, the blessings of Genesis 12:1-3 are the direct answer to the curses of Genesis 3:14-19, and the Balaam oracles in Numbers 22-24 connect Genesis 3:15 to Genesis 12:1-3 and Genesis 49:8-12, so that we see that within the Pentateuch itself Genesis 3:15 exercises a profound influence on the gathering lines of promise. This is picked up in the Prophets and the Writings and rightly understood by, among others, the Apostle Paul, who explains that the blessing of Abraham has come to the Gentiles in Christ Jesus (Gal 3:14, cf. 3:16). Over on the MCTS blog there’s an answer with which I heartily agree! The next issue of The Southern Baptist Journal of Theology 14.1 (2010) is soon to be released. The issue is on eschatology, and you can see the Table of Contents here. SBJT has generously made available what looks to be the most important essay in this issue: Peter J. Gentry, “Daniel’s Seventy Weeks and the New Exodus,” SBJT 14.1 (2010): 26–45. On January 31 it was my privilege to preach at Kemp Road Baptist Church in Dayton, Ohio. I attempted to set the role of the family in the wider context of God’s purposes in Old Testament theology, moving from the father’s role in Deuteronomy 6 to the king’s role as a father to his people in Deuteronomy 17 to some brief thoughts on Proverbs 3, where we see Solomon acting as a father obediently teaching his son (and by extension the nation) as he teaches Torah in the book of Proverbs. Last summer I posted the lyrics to “Arise, O Star,” which is my attempt to put the Messiah in the Old Testament to music. The School of Church Music and Worship School Council and the Hymn Society are sponsoring a worship service presenting new songs and hymns written by members of the Southern Seminary community. The service will held in Dillard Chapel on Friday, April 17th at 7:30 pm. Everyone is welcome to attend. If you’re in the Louisville area, it would be great to see you at this event Friday night. Thanks to the valiant efforts of Chris Fenner, a “lead sheet” replete with musical notations and guitar chords now exists for “Arise, O Star.” If you are interested, you can download that here. You have my permission to sing this anytime you like with anyone who will join you. “The Seed of the Woman and the Blessing of Abraham,” Tyndale Bulletin 58.2 (2007), 253-73. Might the blessing of Abraham in Genesis 12:1-3 be a direct answer to the curses of Genesis 3:14-19? The curses of Genesis 3 introduce con­flict between the seed of the serpent and the seed of the woman, con­flict between the man and the woman, with difficulty in childbearing, and conflict between the man and the ground, which is cursed for man’s sin. God promises land, seed, and blessing to Abraham. The nations will be blessed through the seed of the woman, seed of Ab­raham, who crushes the serpent’s head. The birth of this seed means that the conflict between the man and his wife is not final, nor will the dif­ficulty in childbearing be fatal. And God promises land to Abraham and his seed, land that hints of a return to Eden. As promised, in the last day of my class on the Messiah in the Old Testament, I delivered this rap that I wrote as I was preparing for the forum on Christ in the OT that was held earlier this semester here at SBTS. I think one of the students got the audio, so if it becomes available to me, I’ll link it here. So with apologies to those who do belong in the “us” of “For Us By Us,” inspired by Jim Orrick’s Philosophy rap, here is my tribute to The Messiah in the Old Testament (imitation is the highest form of compliment). Which God made known to Apostles, you see? How Much Christ in the Old Testament? That was the topic of discussion yesterday. It was my privilege to participate in a panel discussion here at SBTS, and the audio file is here (HT: Awilum). My views have been shaped by the preaching, teaching, and writings of Drs. Thomas R. Schreiner, John Sailhamer, T. Desmond Alexander, Stephen G. Dempster, E. Earle Ellis, and N. T. Wright, among others. “The Virgin Will Conceive: Typological Fulfillment in Matthew 1:18-23,” in Built upon the Rock: Studies in the Gospel of Matthew, ed. John Nolland and Dan Gurtner, 228-47. Grand Rapids: Eerdmans, 2008 (for the presentation version, click the cover of the book on the right side of the page). “The Messianic Music of the Song of Songs: A Non-Allegorical Interpretation,” Westminster Theological Journal 68 (2006) 331-45. “The Skull Crushing Seed of the Woman: Inner-Biblical Interpretation of Genesis 3:15,” The Southern Baptist Journal of Theology 10.2 (2006), 30-54.